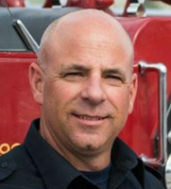 Ken has 23 years in the Fire Service as a career Firefighter and Fire Inspector for a Municipal Fire Department. He has extensive experience conducting origin and cause investigations including commercial, residential and vehicle fires. He is proficient in the use and interpretation of all applicable codes and standards related to building construction and the function of life safety features.